With the first signs of spring popping up everywhere, some of you might be gearing up to sell your home. Selling can certainly be stressful. 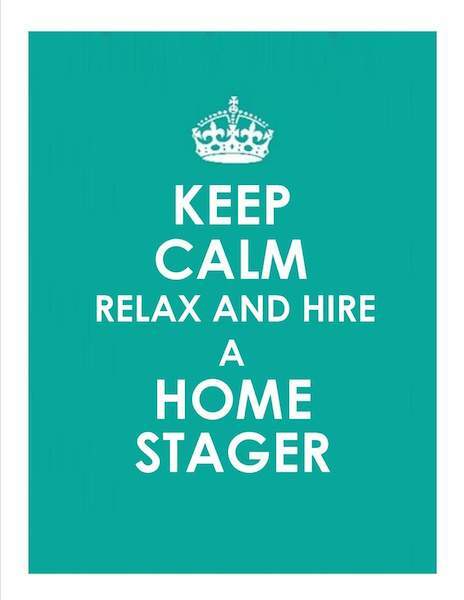 I've experienced it firsthand as both a home seller myself (x2 now), and as a home stager (a service I offered in my former business). Unless you're selling a relatively new home, it's easy to get overwhelmed with the home repair/upgrade "To Do" list that goes along with prepping your home for the market. My first piece of advice? 3) They can save you money on upgrades by passing along their discounts (e.g., paint stores, flooring stores, etc. 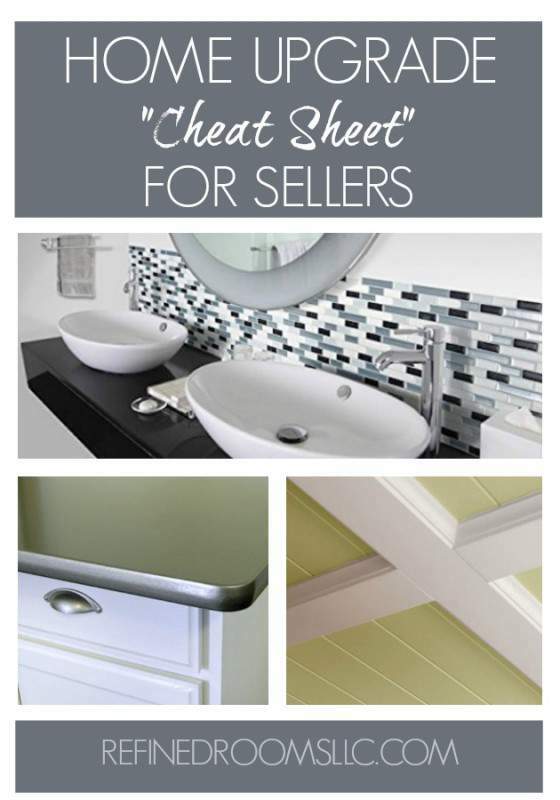 ), and by sharing their "Cheat Sheet" for completing home upgrades very inexpensively. (O.K., stepping down from my soapbox now). 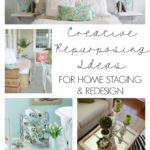 Let's take a look at some budget-friendly home upgrade solutions that might be found on a typical home stager's "Cheat Sheet". 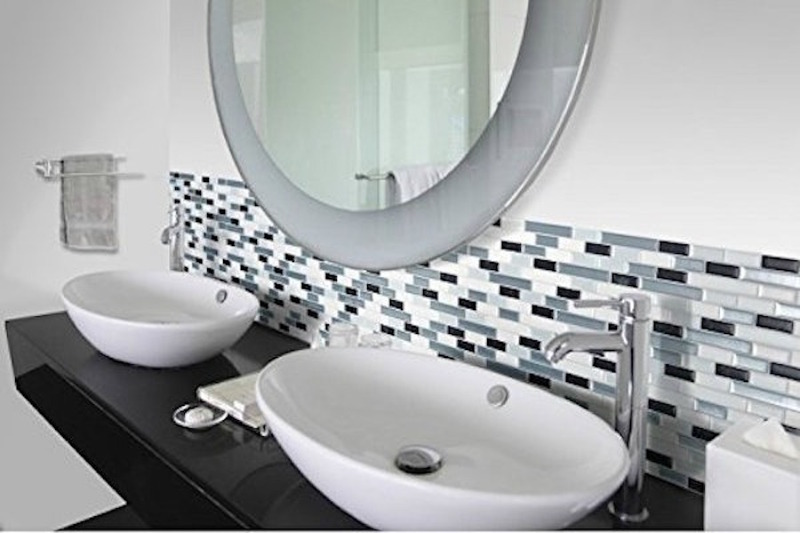 Nothing outdates a home like kitchen/bathroom cabinetry. If you have a kitchen that screams “1980’s”, you need to seriously consider bringing the cabinetry into the current decade. This does not mean that you need to purchase all new cabinets, or even spend money on refacing them. Most of the time, simply painting them and adding new hardware does the trick. Once in a while, the design of the doors is so unattractive that paint alone is an insufficient fix. So what else can you do short of replacing them? 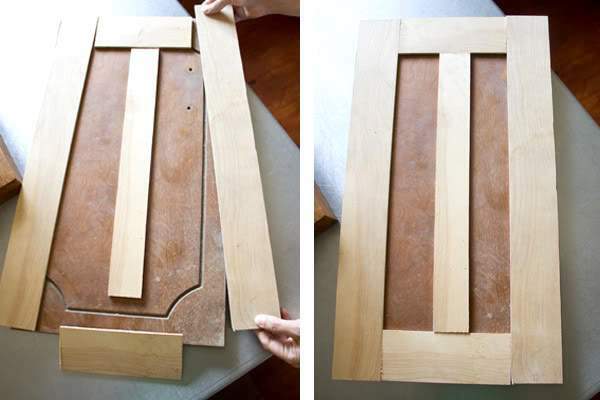 Follow the lead of the DIY Dynamos at The Lettered Cottage and add a few pieces of thin wood to create an on-trend shaker style cabinet. 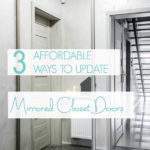 Although this upgrade will take you a considerable amount of time to complete relative to the others in this post, you can bet your bottom dollar that it will be worth it when it comes time to sell. Like this post? 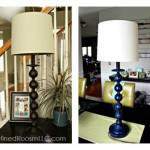 Find many more redesign, decorating and home improvement ideas in my decorating gallery. Got plans to sell your home? 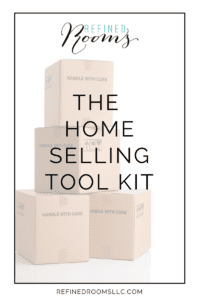 I’ve created The Home Selling Tool Kit, a free resource for helping you sell your home fast and for top dollar. Click on the image below to learn more about it and to download the Tool Kit for yourself!